Jianglong Yu obtained his PhD degree from Chemical Engineering of the University of Newcastle in 2003. In the following two years, he worked in Monash University as a postdoc research fellow. He was offered an academic position in 2005 in Shenyang Aerospace University and acted as the Director of Thermal Energy Research Centre. In 2010, he was offered the position as the Director of the Key Laboratory of Advanced Coal and Coking Technology of Liaoning Province at the University of Science and Technology Liaoning (USTL). In the same year, he was awarded the Excellent Researcher of Shenyang City and won the grant support of the University Talents Program of Liaoning Province. During 2011-2015, he acted as the Head of the School of Chemical Engineering at USTL. In 2014, he started to work in Chemical Engineering at the University of Newcastle. 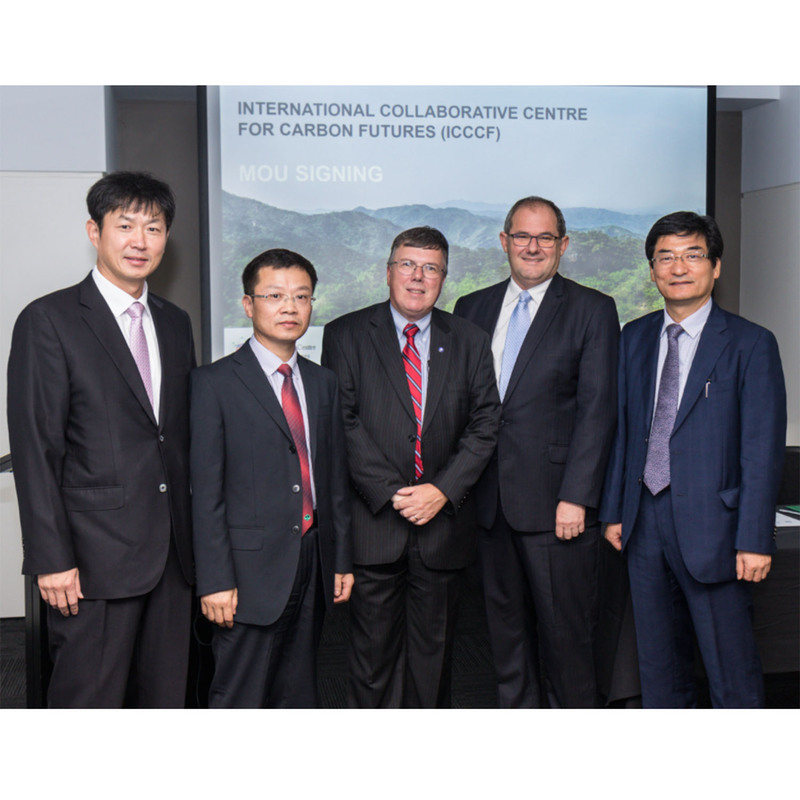 He is now a Professor of Chemical Engineering and acts as the Director of the International Collaborative Centre for Carbon Futures (https://www.newcastle.edu.au/research-and-innovation/centre/icccf) funded by the university. 1) Pyrolysis and combustion of coal and biomass; 2) Hydrogen energy production; 3) Utilization of fly ash; 4) Flue gas cleaning technology; 5) Coking technology; 6) Coal/biomass-derived advanced carbon materials. Director of Thermal Energy Research Centre, Shenyang Aerospace University since May 2005. Director of Key Laboratory of Advanced Coal and Coking Technology of Liaoning Province since October 2010. Director of Research Centre of Clean Energy and Fuel Chemistry since March 2011. Head of School of Chemical Engineering during March 2011 to December 2014. Director of International Collaborative Centre for Carbon Futures at UON, since October 2017. A voluntary referee for more than 10 international journals. He has been involved in organizing international conferences including 7th International Symposium on Gas Cleaning at High Temperatures (2008), International Conference on Clean Technology for Coal and Biomass Utilization (Co-Chair of the organizing committee, 2012 and 2016), International Symposium on Clean Energy and Advanced Materials (the Chair of organizing committee, 2018). The editorial board member of Bioresource Technology (IF 5.807) (since 2015), and editorial member of the Chinese journal "Coal Chemical Industry" (since 2017). © 2018 Elsevier Ltd The transformation of nitrogen in microalgae during entrained-flow pyrolysis of Chlorella vulgaris was systematically investigated at the temperatures of 600¿900 °C and pressures of 0.1¿4.0 MPa. It was found that pressure had a profound impact on the transformation of nitrogen during pyrolysis. The nitrogen retention in bio-char and its content in bio-oil reached a maximum value at 1.0 MPa. The highest conversion of nitrogen (50.25 wt%) into bio-oil was achieved at 1.0 MPa and 800 °C, which was about 7 wt% higher than that at atmospheric pressure. Higher pressures promoted the formation of pyrrolic-N (N-5) and quaternary-N (N-Q) compounds in bio-oil at the expense of nitrile-N and pyridinic-N (N-6) compounds. The X-Ray photoelectron spectroscopy (XPS) and Fourier transform infrared spectroscopy (FTIR) results on bio-chars clearly evidenced the transformation of N-5 structures into N-6 and N-Q structures at elevated pressures. The nitrogen transformation pathways during pyrolysis of microalgae were proposed and discussed. © 2015 American Chemical Society. The current work focuses on the development of a novel calcium-looping-based biomass-integrated gasification combined cycle (CL-BIGCC) process. The process is expected to improve the energy density of synthesis gas by capturing CO2 in a carbonator. Also, at the same time, the carbonator is expected to act as an ex situ tar removal unit, where tar cracking is expected to occur via catalytic reactions with CaO. The current work evaluates the feasibility of the proposed CL-BIGCC concept via thermodynamic analysis using Aspen Plus. Moreover, the tar cracking ability of CaO is demonstrated using thermogravimetric analyzer coupled to Fourier transform infrared spectrometer (TGA-FTIR) experiments. As part of the thermodynamic analysis, sensitivity analyses of the key process parameters, such as the calcium/biomass (Ca/B) ratio, steam/biomass (S/B) ratio, carbonator temperature, and calciner temperature, and their effects on net thermal-to-electricity efficiency have been studied in detail. The optimal values of key process parameters, such as a compression ratio of 5.1, an air/fuel mass ratio of 15, a Ca/B ratio of 0.53, a S/B ratio of 0.17, and carbonator and calciner temperatures of 650 and 800 °C, respectively, have been obtained. Furthermore, the CL-BIGCC process simulated in the current work was found to have a net thermal-to-electricity efficiency of ~25% based on the above optimal parameters, which is the highest among other conventional steam-based BIGCC processes. The biomass gasification (i.e., partial oxidation) experiments in a TGA-FTIR with a CaO/biomass ratio of 1:1 at different temperatures showed that CaO effectively catalyzed tar-cracking reactions. © 2016 Elsevier Ltd. Oxy-fuel combustion of solid fuels is seen as one of the key technologies for carbon capture to reduce greenhouse gas emissions. The combustion characteristics of lignite coal, Chlorella vulgaris microalgae, and their blends under O2/N2 and O2/CO2 conditions were studied using a Thermogravimetric Analyzer-Mass Spectroscopy (TG-MS). During co-combustion of blends, three distinct peaks were observed and were attributed to C. vulgaris volatiles combustion, combustion of lignite, and combustion of microalgae char. Activation energy during combustion was calculated using iso-conventional method. Increasing the microalgae content in the blend resulted in an increase in activation energy for the blends combustion. The emissions of S- and N-species during blend fuel combustion were also investigated. The addition of microalgae to lignite during air combustion resulted in lower CO2, CO, and NO2 yields but enhanced NO, COS, and SO2 formation. During oxy-fuel co-combustion, the addition of microalgae to lignite enhanced the formation of gaseous species. © 2016 Elsevier Ltd. Catalytic microwave pyrolysis of peanut shell (PT) and pine sawdust (PS) using activated carbon (AC) and lignite char (LC) for production of phenolic-rich bio-oil and nanotubes was investigated in this study. The effects of process parameters such as pyrolysis temperature and biomass/catalyst ratio on the yields and composition of pyrolysis products were investigated. Fast heating rates were achieved under microwave irradiation conditions. Gas chromatography-mass spectrometry (GC-MS) analysis of bio-oil showed that activated carbon significantly enhanced the selectivity of phenolic c3/30/2016 4:14:58 PMompounds in bio-oil. The highest phenolics content in the bio-oil (61.19 %(area)) was achieved at 300 °C. The selectivity of phenolics in bio-oil was higher for PT sample compared to that of PS. The formation of nanotubes in PT biomass particles was observed for the first time in biomass microwave pyrolysis. © 2016 Elsevier Ltd The production of bio-oil rich in methoxyaromatics during catalytic pyrolysis of Eucalyptus pulverulenta (EP) was studied using a fixed-bed reactor in the temperature range of 300¿500 °C and the bio-oil composition was analyzed by using a GC¿MS. The results showed that the highest bio-oil yield of 38.45 wt% was obtained at 400 °C in the presence of Na2CO3, and the concentration of methoxyaromatics reached the maximum value of 63.4%(area) in the bio-oil. The major methoxyaromatics identified in bio-oil were guaiacol, syringol, 4-ethyl-2-methoxy phenol, and 1,2,4-trimethoxybenzene. The analysis of gaseous products indicated that CO2 was the major gas at low-temperatures and concentrations of H2 and CH4 increased with increasing pyrolysis temperature. Na2CO3 promoted the formation of methoxyaromatics, while NaOH seems to have enhanced the formation of phenolics. The mechanism of the formation of methoxyaromatics during pyrolysis of EP was proposed. © 2015 Akadémiai Kiadó, Budapest, Hungary. CO 2 gasification of Victorian (Morwell) brown coal char was studied using a thermogravimetric analyser (TG). Gasification kinetics of demineralised, Ca-loaded, and Fe-loaded Morwell char were also studied. The grain model and random pore model were used to fit the gasification data. The random pore model fitted the experimental data better than the grain model. The activation energy was 189.05 kJ mol -1 for the CO 2 gasification of Morwell coal char. With 2 % Ca loading, the activation energy increased to 204.53 kJ mol -1 due to lowering of the surface area. However, an order of magnitude increase in the pre-exponential factor indicated an increase in active reaction sites for the 2 % Ca-loaded sample, resulting in a net increase in gasification rate. 5 % Ca loading and 2 % Fe loading proved to be less effective in increasing the gasification rate. Analysis of the TG outlet gas also proved the effectiveness of 2 % Ca loading as a gasification catalyst. © 2015 Akadémiai Kiadó, Budapest, Hungary. In this paper, the use of lignite char as the reductant is proved to be promising in direct reduction of iron (DRI) technology. A better understanding of the reducing characteristics of lignite char is necessary for the development of efficient DRI technologies. The application of lignite char as reductant in direct reduction of hematite has been investigated in this study, and the results are compared with those of lignite coal and graphite. Thermogravimetric analysis was used to analyze the thermal behavior of the composite pellets. Maximum iron oxide reduction rate occurred at 865, 829.5, and 920 °C when lignite coal, lignite char, and graphite were used as reductants, respectively, indicating that iron oxide can be reduced at lower temperatures in the presence of lignite char. X-ray diffraction analysis showed that complete reduction of hematite to elemental iron was achieved with lignite char after 15-min reduction at 1000 °C. Scanning electron microscopy-energy-dispersive X-ray analysis results showed that the atomic ratio of Fe/O was increased from 0.39 in pellets before reduction to 0.51, 0.55, and 0.71 after reduction by graphite, coal, and lignite char, indicating that lignite char reduced hematite to a higher degree compared to lignite coal and graphite. © 2016 Elsevier B.V. Pore structure changes during pre-drying of lignite affect its low-temperature oxidation and increase the susceptibility to spontaneous combustion. In this study, the effects of drying methods (i.e., vacuum drying and N2 drying) on self-heating of Indonesian lignite during oxidation were investigated using a dual fixed-bed quartz reactor. The variation of coal temperatures was recorded and the release of CO2 and CO was measured by a gas chromatography. The pore volume and surface area of dried samples were measured using Brunauer-Emmett-Teller (BET) method. Mesopores in lignite initially increased and collapsed with further increasing drying intensity during drying in N2, resulting in a rapid self-heating rate of lignite within a critical moisture content range of 6-13%. However, vacuum drying caused a gradual increase in mesopores, which lead to a monotonic increase in self-heating rate with decreasing residue moisture content in lignite. The experimental results indicated that the production rates of both CO2 and CO during oxidation of raw lignite increased with reducing particle size and increasing gas flow rate, but decreased at lower moisture contents. Typically, the variation of production rates of both CO2 and CO as a function of particle size and gas flow rate followed a similar trend to that of raw lignite when the lignite was completely dried by the vacuum drying method. The impacts of lignite particle size and gas flow rate on the yields of CO2 and CO was limited due to less diffusion of O2 into small pores, suggesting that the oxidation reaction between lignite and oxygen has been shifted from diffusion controlled to kinetic controlled reactions. © 2016 Elsevier B.V. All rights reserved. The development of lignite-char-supported metal oxide catalyst for reduction of nitric oxide (NO) is investigated in this paper. The characteristics of NO reduction by copper and iron oxide catalysts supported on activated lignite chars (ALC) was studied using a fixed-bed reactor at 300 °C. The results showed that the impregnation of Cu on ALC resulted in higher catalytic reactivity during NO reduction compared with that of Fe. Chemisorption of O2 and NO on Cu/ALC catalyst was found to play an important role in denitrification. Fourier transform infrared spectroscopy (FTIR) and X-ray diffraction (XRD) analyses showed that chemically adsorbed oxygen facilitates the formation of C(O) complex and oxidation of Cu0 to Cu+ for Cu/ALC catalyst. The C(O) intermediates and C*production formed due to the fact that C/O2 reaction promoted the reduction of NO. It is suggested that the catalytic reaction of NO in this case comprised of C/O2 reaction, C(O)/NO reaction and formation of N2 and CO2. Cu seemed to have significantly promoted the C(O) formation and CO oxidation compared with Fe. The catalytic reactivity of Cu species for C(O) formation and CO oxidation followed the order of Cu0 > Cu+ > Cu2 +. Fe3O4 was believed to be the active phase in Fe catalyst. The oxygen and char-supported metal catalysts significantly promoted C/NO reaction, and therefore may lead to a lower operation temperature of NOx removal. © 2016 Elsevier Ltd. Catalytic fixed-bed and microwave pyrolysis of palm kernel shell using activated carbon (AC) and lignite char (LC) as catalysts and microwave receptors are investigated. The effects of process parameters including temperature and biomass:catalyst ratio on the yield and composition of pyrolysis products were studied. The addition of catalyst increased the bio-oil yield, but decreased the selectivity of phenol in fixed-bed. Catalytic microwave pyrolysis of PKS significantly enhanced the selectivity of phenol production. The highest concentration of phenol in bio-oil of 64.58 %(area) and total phenolics concentration of 71.24 %(area) were obtained at 500 °C using AC. Fourier transform infrared spectroscopy (FTIR) results indicated that concentration of OH, C. H, C. O and C. O functional groups in char samples decreased after pyrolysis. Scanning electron microscopy (SEM) analysis clearly indicated the development of liquid phase in biomass particles during microwave pyrolysis, and the mechanism is also discussed. © 2016, Korean Institute of Chemical Engineers, Seoul, Korea. The sulfidation and regeneration properties of lignite char-supported iron-based sorbent for coke oven gas (COG) desulfurization prepared by mechanical stirring (MS), ultrasonic assisted impregnation (UAI), and high pressure impregnation (HPI) were investigated in a fixed-bed reactor. During desulfurization, the effects of process parameters on sulfidation properties were studied systematically. The physical and chemical properties of the sorbents were analyzed by X-ray diffraction (XRD), scanning electron microscope coupled with energy dispersive spectroscopy (SEM-EDS), Fourier transform infrared (FTIR) and BET surface area analysis. The results of desulfurization experiments showed that high pressure impregnation (HPI) enhanced the sulfidation properties of the sorbents at the breakthrough time for char-supported iron sorbents. HPI method also increased the surface area and pore volume of sorbents. Sulfur capacity of sorbents was enhanced with increasing sulfidation temperatures and reached its maximum value at 400 °C. It was observed that the presence of steam in coke oven gas can inhibit the desulfurization performance of sorbent. SO2regeneration of sorbent resulted in formation of elemental sulfur. HPIF10 sorbent showed good stability during sulfide-regeneration cycles without changing its performance significantly. © 2016 Elsevier B.V. The effect of moisture content on ignition and combustion behavior of Chinese (HL) and Indonesian (YN) lignite were investigated. Particles with a size range of 75¿105 µm with different moisture contents were injected in a bench-scale, electrically heated transparent reactor and the combustion of individual particles was observed with a high-resolution high-speed camera. Direct ignition observations indicated that most of the HL lignite particles underwent extensive fragmentation during ignition. Fragmentation was attributed to the explosive diffusion of volatiles and water vapor to the particle surface as a result of fast heating rate. Fragmentation reduced the particle size and increased the possibility of heterogeneous ignition of individual fragments. YN lignite particles on the other hand, underwent one-mode whole particle ignition upon heating. Higher moisture content caused a significant ignition delay in both lignite samples. 10% and 20% moisture in lignite samples resulted in around 83 and 160 ms delay in ignition for both coals. Higher intensity of fragmentation of HL particles during combustion compared to YN lignite resulted in shorter total particle combustion time at higher moisture contents. The findings of this study advanced the knowledge of the effects of moisture on ignition and combustion of low-rank coals. © 2016 Elsevier Inc. The effects of physical structure (pore structure) on behavior of water in lignite coal and activated carbon (AC) samples were investigated by using Differential Scanning Calorimetry (DSC) and low-temperature X-ray diffraction (XRD) techniques. AC samples with different pore structures were prepared at 800 °C in steam and the results were compared with that of parent lignite coal. The DSC results confirmed the presence of two types of freezable water that freeze at -8 °C (free water) and -42 °C (freezable bound water). A shift in peak position of free water (FW) towards lower temperature was observed in AC samples compared to the lignite coal with decreasing water loading. The amount of free water (FW) increased with increasing gasification conversion. The amounts of free and freezable bound water (FBW) in AC samples were calculated and correlated to pore volume and average pore size. The amount of FW in AC samples is well correlated to the pore volume and average pore size of the samples, while an opposite trend was observed for FBW. The low-temperature XRD analysis confirmed the existence of non-freezable water (NFW) in coal and AC with the boundary between the freezable and non-freezable water (NFW) determined. © The Royal Society of Chemistry. Well-aligned ZnO-ZnS heterojunction nanowire arrays have been synthesized via a novel wet chemical route in which ammonium persulfate was used as an oxidant to oxidize zinc foil directly followed by a sulfidization process to substitute oxygen with sulfur in the alkali solution. The structure and photocatalytic properties of ZnO-ZnS were analysed in comparison with those of ZnO nanowires. The formation mechanism of ZnO-ZnS heterojunction NW arrays arises from a combination of two different processes, namely a typical dissolution-crystallization process and a substitution reaction. Room temperature photoluminescence measurements indicate that ZnO-ZnS heterojunction NW arrays have an emission peak centered at 385 nm, and the PL intensity of the ZnO-ZnS heterojunction is lower than that of the ZnO NW arrays. The morphology and structure of the heterostructural products have been characterized by transmission electron microscopy (TEM), energy dispersive spectroscopy (EDS), and X-ray photoelectron spectroscopy (XPS). Due to the formation of heterostructures and a new transfer pathway of electrons from ZnS to ZnO, the composites show significantly improved photocatalytic activities than that of pure ZnO NW arrays. This study offers a novel way of fabricating semiconductor composites for high-efficiency photocatalysis applications. © 2015 Elsevier Ltd. All rights reserved. An Indonesian lignite was oxidized using a dual fixed-bed quartz reactor to examine the effect of moisture content, particle size and gas flow rate on low-temperature oxidation characteristics. The self-heating characteristics of dried samples have been further systematically investigated. During oxidation experiments, the temperature profiles of coal were recorded and CO2 and CO gases were analyzed using gas chromatography. The temperature of coal samples in air increased monotonically, successively exceeding the separation point temperature (SPT) and the crossing point temperature (CPT). SPT, the initial point of self-heating during oxidation, significantly depends upon water content of coal and its removal during drying. It was found from the SPT values that oxidation rate of lignite was highest at moisture content between 6% and 13%. The CO2 and CO production rates during the self-heating process increased with decreasing particle size, but these effects decreased gradually with increasing drying intensity due to "pore collapse" of lignite during drying. Both SPT and CPT for each dried samples decreased with decreasing particle size, indicating a more rapid self-heating at smaller particle size. The progressive decrease in dependence of the CO2 and CO production rates on gas flow rate with increasing drying intensity indicated that drying causes the transition of oxidation reactivity controlled by bulk diffusion to that by oxidation kinetics, which altered the net effect of heat loss and supply of oxygen in response to increasing gas flow rate, even resulting in change of the critical moisture range at high gas flow. © 2015 Elsevier Ltd. All rights reserved. ß-Sialon whiskers were produced at 1420 °C through carbothemal reduction reaction under nitrogen atmosphere using fly ash from coal-fired power plants. The effects of sintering time on the phase formation and morphology of the products were investigated by X-ray diffraction (XRD), scanning electron microscope (SEM) and energy dispersive spectrometer (EDS) techniques. Rod-like ß-Sialon whiskers with the diameter of 100-500 nm were successfully formed. With increasing sintering time, bead-like morphology during the growth process of the whiskers was found, and growth mechanism of ß-Sialon whiskers was also discussed in detail. The growth mechanism proposed in this study was different from the conventional vapor-liquid-solid (VLS) mechanism. © 2015 American Chemical Society. In this paper, the regeneration characteristics of activated-char-supported Fe-Zn-Cu sorbents were studied. The desulfurization and regeneration experiments were carried out using a quartz fixed-bed reactor at ambient pressure. The effects of regeneration conditions, such as space velocity, temperature, and steam concentration, on the regeneration performance were examined. The crystal phase, chemical structure of activated components, and physical structure of sorbents before and after regeneration were characterized by X-ray diffraction (XRD), Fourier transform infrared (FTIR) spectroscopy, scanning electron microscopy (SEM), X-ray photoelectron spectroscopy (XPS), and Brunauer-Emmett-Teller (BET) surface area. The experimental results indicated that the char-supported Fe-Zn-Cu sorbents can be regenerated at temperatures above 500 °C. The optimal regeneration parameters with a space velocity of 5000 h-1, temperature of 700 °C, and steam concentration of 50 vol % have been obtained. The result of regeneration by steam suggested that the BET surface area of the sorbent after regeneration was larger than that of the fresh sorbent, and steam can restore the physical structure of the sorbent and expand its aperture during regeneration. Regeneration using SO2 was also studied under the optimal conditions. The XRD, FTIR spectroscopy, and XPS analyses indicated that the composite metal oxides in the sorbent formed during sulfidation were transformed into metal sulfides, which can be converted back to metal oxides during regeneration. © 2015 Taylor & Francis Group, LLC. Lignite char supported Fe-Zn sorbents were prepared by means of impregnation of Fe and Zn into coal followed by steam gasification. The sulfidation experiments were carried out using a fixed-bed quartz reactor in the temperature range of 473 to 673 K using simulated coke oven gas with a gas space velocity of 1,000 h-1. Strcuture changes of sorbents during sulfidation were analyzed using X-ray diffraction and scanning electron microscopy. The results show that the sorbents can remove both H2S and coke oven gas from the simulated coke oven gas with high efficiency, and the desulfurization efficiency increased with increasing metal loading level. © 2015 The Ceramic Society of Japan. All rights reserved. ¿-Sialon based composites were produced using a vertical reactor by carbothermal reduction reaction under nitrogen using fly ash and lignite chars to examine the effects of mixing, carbon content, reaction temperature and sintering time. The influences of chars as a reductant were further investigated in comparison with graphite. The evolution of phase and morphology in samples were analyzed by X-ray diffraction (XRD) and scanning electron microscope (SEM). Mechanical stirring was favored to mix fly ash and chars, while ball-milling shove the chars with porous structure due to collisions of agate balls, preventing N2 penetration to the inner parts of reactants. When excess carbon was increased to 100%, a higher combustion reactivity of low-temperature chars resulted in the production of SiC phase. The evolution of ¿-Sialon with increasing reaction temperature showed the samples mixed with chars were more sensitive to reaction temperature than that with graphite. ¿-Sialon phase increased gradually with increasing sintering time to 6 h and decreased thereafter due to the decomposition or conversion of ¿-Sialon. These changes were more significantly for samples adding lignite chars. The optimal operation has been determined and rod-like ¿-Sialon whiskers with high aspect ratio appeared after performing the operation. In the growth process of whiskers, bead-shape whiskers were observed, suggesting that the growth mechanism was different from the conventional vaporliquidsolid (VLS) mechanism. © 2015 Elsevier B.V. The desulfurization properties of Fe-Zn sorbent prepared by impregnating Fe and Zn into lignite char via ultrasonic-assisted impregnation (UAI) were investigated in comparison with the mechanical stirring (MS) method. The sulfidation experiments were carried out using a fixed-bed quartz reactor under ambient pressure. The amounts of metals loaded into char were measured by inductively coupled plasma atomic emission spectrometry (ICP-AES). The crystalline phases and chemical structure of sorbents before and after sulfidation were characterized by X-ray diffraction (XRD) and Fourier transform infrared spectroscopy (FTIR), respectively. The morphology of sorbents was analyzed by using scanning electron microscope (SEM) with an energy dispersive X-ray (EDX) auxiliary. The experimental results showed that metal oxides as the active components were evenly dispersed on char as nanoparticles. The impregnation of active components was significantly improved by the ultrasonic-assisted impregnation method. When sorbents were prepared by ultrasonic-assisted impregnation, the metal oxide particles became smaller and more evenly dispersed on the char matrix which resulted in higher desulfurization efficiency and sulfur uptake capacity of the sorbents. The BET results showed that the physical properties of sorbents (surface area and pore volume) significantly improved when prepared by UAI method compared to MS method. The sulfidation temperature had a significant effect on desulfurization performance of char supported sorbents. The Fe:Zn molar ratio of 2:1, and impregnation time of 9 h were suggested as the optimal preparation conditions during ultrasonic-assisted impregnation. © 2015 Elsevier B.V. Mesoporous activated carbons (ACs) were successfully prepared from lignite using KOH as activation agent at the temperature above 700°C. The pore structure and surface chemistry of the as-prepared ACs were characterized by means of nitrogen adsorption-desorption, X-ray diffraction, scanning electron microscope, transmission electron microscope and X-ray photoelectron spectroscopy. The results show that such prepared mesoporous ACs have a high specific surface area (~3036m<sup>2</sup>·g<sup>-1</sup>) with a hierarchical macro-meso-micro-pore structure and oxygen-enriched surface. The electrochemical performances of the ACs as electrode materials for electrochemical capacitors (ECs) were assessed by galvanostatic charge-discharge, cyclic voltammetry and cycling durability tests. It was demonstrated that the mesoporous ACs produced in this study possessed a maximum specific capacitance of 355F·g<sup>-1</sup> and 196F·g<sup>-1</sup> in 3M KOH aqueous and 1M (C<inf>2</inf>H<inf>5</inf>)<inf>4</inf>NBF<inf>4</inf>/PC organic electrolytes, respectively, at a current density of 50mA·g<sup>-1</sup>, and exhibited a desirable energy and power density with a superior cycling performance. The excellent capacitive behavior of the prepared mesoporous ACs in aqueous system is attributed to their unique macro-meso-micro-hierarchical pore structure with high surface area and oxygen-containing surface. Their superb electrochemical performance in the organic electrolyte is attributed to their well-developed mesoporous structure. © 2014 Elsevier B.V. All rights reserved. Solvent extraction and oxidation of coal under mild conditions can assist in understanding of coal chemical structure. It can also offer a potential for conversion of coal into useful chemicals, allowing more efficient use of coal resources. In this study, a Chinese lignite was extracted by different solvents including CS2, ethanol, and acetone. The composition of the extracts was analyzed by GC-MS method. It was found that the CS2 extracts contained high amounts of aliphatic hydrocarbon. The ethanol and acetone extracts mainly contained oxygen-containing compounds. The effects of reaction temperature and residence time on coal oxidation and composition of extract residueswere also investigated. The results showed that lignite was readily oxidized in H2O2 aqueous solution at temperatures above 40 °C, and the oxidation behavior (oxidation rate, product distribution and yields) was strongly temperature dependent. Oxidation of extract residues in H2O2 solution was carried out at different temperatures. Water soluble products of oxidation were analyzed using the GC-MS. Aliphatic hydrocarbons were present in all oxidation steps. The relative content of esters in all oxidation stepswas also high. The chemical structure changes of coal, the extract residues, and the oxidation residueswere studied using FTIR technique. The results indicated that the extract residues had lower intensity of aliphatic hydrogen compared to raw coal. The aromatic carbon concentration remained relatively unchanged when oxidized at temperatures below 30 °C, then decreased slightly with increasing the oxidation temperature. © 2014 Elsevier Ltd. Pyrolysis characteristics of four algal and lignocellulosic biomass samples were studied by using a thermogravimetric analyzer (TGA) and a fixed-bed reactor. The effects of pyrolysis temperature and biomass type on the yield and composition of pyrolysis products were investigated. The average activation energy for pyrolysis of biomass samples by FWO and KAS methods in this study were in the range of 211.09-291.19kJ/mol. CO2 was the main gas component in the early stage of pyrolysis, whereas H2 and CH4 concentrations increased with increasing pyrolysis temperature. Bio-oil from Chlorella vulgaris showed higher content of nitrogen containing compounds compared to lignocellulosic biomass. The concentration of aromatic organic compounds such as phenol and its derivatives were increased with increasing pyrolysis temperature up to 700°C. FTIR analysis results showed that with increasing pyrolysis temperature, the concentration of OH, CH, CO, OCH3, and CO functional groups in char decreased sharply. Sulfidation properties of char-supported Fe-Zn-Mo sorbents prepared by ultrasonic impregnation method were investigated during simultaneous removal of H<inf>2</inf>S and COS from coke oven gas (COG) using a fixed-bed quartz reactor. Sorbent samples before and after sulfidation were analyzed using X-Ray diffraction (XRD) and Fourier transform infrared spectroscopy (FT-IR). The experimental results showed that the addition of Mo significantly improved the desulfurization properties (i.e., breakthrough time, sulfur capacity and desulfurization efficiency) of Fe-Zn sorbents. Desulfurization reactions were exothermic and thermodynamically favorable in the temperature range of 200¿400 °C. Thermodynamic analysis of the sorbents indicated that higher concentration of H<inf>2</inf>S and lower concentration of H<inf>2</inf> favors the reaction of metal oxides with H<inf>2</inf>S to form metal sulfides. © 2015 Elsevier Ltd. Microwave (MW) pyrolysis of algal and lignocellulosic biomass samples were studied using a modified domestic oven. The pyrolysis temperature was recorded continuously by inserting a thermocouple into the samples. Temperatures as high as 1170 and 1015°C were achieved for peanut shell and Chlorella vulgaris. The activation energy for MW pyrolysis was calculated by Coats-Redfern method and the values were 221.96 and 214.27kJ/mol for peanut shell and C. vulgaris, respectively. Bio-oil yields reached to 27.7wt.% and 11.0wt.% during pyrolysis of C. vulgaris and peanut shell, respectively. The bio-oil samples from pyrolysis were analyzed by a gas chromatography-mass spectrometry (GC-MS). Bio-oil from lignocellulosic biomass pyrolysis contained more phenolic compounds while that from microalgae pyrolysis contained more nitrogen-containing species. Fourier transform infrared spectroscopy (FTIR) analysis results showed that concentration of OH, CH, CO, OCH3, and CO functional groups in char samples decreased significantly after pyrolysis. ©2014 Chin. Soc. for Elec. Eng. Using the moisture re-adsorption experimental rig, the desorption and adsorption isotherms of an Indonesian lignite were studied at the temperature of 30¿ and 40¿. The effect on moisture re-adsorption characteristics of coal particle size and drying temperature were studied. According to the principle of thermodynamics of porous media isothermal adsorption, the Indonesian lignite isothermal adsorption heat was calculated. The results show the irreversibility of the moisture desorption and adsorption isotherms of the coal in the desorption-adsorption cycles, indicating that the irreversible coal structure changes during drying conditions, which is dependent on drying temperature and independent of the coal particle size. The equilibrium moisture content decreased with the increasing drying temperature. The adsorption heat is a little higher than the latent heat of evaporation while the equilibrium moisture content is more than 7%. The water vapor is physically adsorbed on the particle surface and capillary pore surfaces. The formation of hydrogen bond between the water molecules and the surface functional groups during the moisture re-adsorption process is not evident. Coke oven gas cleaning is an important issue in China, where it can be a source of liquefied natural gas (LNG) through the methanation process. In this study, char-supported sorbents were prepared by loading iron, cerium, and molybdenum into a Chinese lignite through co-precipitation, and the sorbents were used for dry desulfurization of coke oven gases. Desulfurization efficiency of the sorbents was examined using a fixed-bed reactor in a temperature range of 473-673 K using a simulated coke oven gas. A gas chromatograph equipped with both a flame photometric detector (FPD) and a thermal conductivity detector (TCD) was used to analyze gas composition, while X-ray diffraction and scanning electron microscopy were used to examine chemical phases and the dispersion pattern of the active constitutes of the sorbents. The experimental results showed that the highest desulfurization efficiency and sulfur capacity appeared at 673 K. The reactivity of the nanosized active components in the char increased with increasing the desulfurization temperature in the temperature range of 473-673 K. In the case of Fe-Mo-impregnated sorbents, Fe and Mo combined together to form complex Fe-Mo oxide phases. The introduction of Mo in the sorbent is found to greatly increase the sulfur capacity and desulfurization efficiency of the Fe sorbent supported on activated chars. The addition of Ce leads to noticeable improvement of the performance of Fe sorbent during sulfidation. The mechanisms and factors influencing the sulfidation reactions have also been discussed. © 2014 American Chemical Society. In the title compound, C 17H 15NO 3, the dihedral angle between the benzene ring and the indole ring system is 22.5(3)°. In the crystal, molecules are linked by N- H···p and C-H···O interactions. Two novel iridium(III) (Ir(III)) complexes (dmabt) 2Ir(acac) and (dpabt) 2Ir(acac)(dmabt, 4-N,N-dimethylbenzenamineyl-2-benzo[d] thiazole; dpabt, 4-N,N-diphenylbenzenamineyl-2-benzo[d]thiazole; acac, acetylacetone) were synthesized and structurally characterized by NMR and mass spectrometry. The organic light-emitting diodes based on these complexes with the structure of ITO/m-MTDATA (10 nm)/NPB (20 nm)/CBP: Ir-complex (X%, 30 nm)/BCP (10 nm)/Alq 3 (30 nm)/LiF (1 nm)/Al (100 nm) were fabricated. The device based on (dmabt) 2Ir(acac) exhibited a maximum efficiency of 19.5 cd/A, a luminance of 15802 cd/cm 2; and the device based on (dpabt) 2Ir(acac) showed a maximum efficiency of 14.8 cd/A, a luminance of 11334 cd/cm 2. Both devices displayed orange emissions and the corresponding Commission International de L&apos;Eclairage (CIE) coordinates (1931) were (0.517, 0.481) and (0.557, 0.443), respectively. © 2012 Elsevier B.V. All rights reserved. In the title hydrate, C19H14N4O· H2O, the dihedral angle between the two pyridine rings is 38.0 (2)°. The dihedral angle between the imidazole and benzene rings is 25.3 (2)°. The crystal structure is stabilized by intermolecular O - H¿O, O - H¿N and N - H¿O hydrogen bonds. Thermodynamic analysis of the correlation of H2S and COS has been carried out at the temperature range of 400-650°C at which high temperature desulfurization of coal gas is usually performed. The correlation of the two sulfur species is mainly through the reaction H2S+CO¿COS+H2. Simulated coal gas with the following composition CO 32.69%, H2 39.58%, CO2 18.27%, N2 8.92% and H2S 0.47% was used in this study, and the equilibrium concentrations of the two species at different temperatures were calculated. The results of Fe-based sorbents during sulfidation were compared with calculations. It is concluded that the above reaction may reach equilibrium concentration in the presence of the Fe-based sorbents, which means the Fe-based sorbents may effectively catalyze the reaction between H2S and CO. Because of the correlation of the two sulfur species, both can be effectively removed at high temperatures simultaneously, offering high temperature desulfurization some advantages over low temperature desulfurization processes. © 2011 Korean Institute of Chemical Engineers, Seoul, Korea. This paper studies the influence of the addition of Mo on the sulfidation performance of Fe-based sorbent supported on fly ash for hot coal gas desulfurization. Sorbent samples were prepared using physical mixing method with different Mo oxide content. The sulfidation experiments were carried out in the temperature range of 400-600 °C. Gas compositions were analyzed using a GC. The structure and morphology of sorbent samples before and after sulfidation were examined by using SEM, XRD and compressive strength was also measured. The experimental results show that the fly ash supporter has some capability for sulfur removal from the hot coal gas. The addition of Mo may effectively improve the desulfurization efficiency and increase the compressive strength of iron-based sorbents. © 2010 Elsevier B.V. In poly-generation and integrated gasification-combined cycle (IGCC) systems for clean energy conversion, it is essential to remove impurities such as sulfur species from hot coal gases prior to entering the subsequent units. This paper provides a comprehensive review on previous studies on high temperature removal of hydrogen sulfide from high temperature coal gases using iron-based sorbents. A two-step desulphurization process for hot coal gas cleanup is highlighted, which is integrated with direct production of elemental sulfur during regeneration of iron-based sorbents in the primary desulphurization step. Different kinetic modeling approaches for sulfidation and regeneration were compared. Limited research on activated carbon supported sorbents was also briefly summarized. © 2010 Higher Education Press and Springer-Verlag Berlin Heidelberg. Using different size range of flying ash samples from gangue thermal power plant of Liaoning Fuxin as carrier, Fe-Ce oxide as active component, Kaolin as binder, through mechanical mixing, forming, drying and high temperature calcination, columnar samples are prepared. In the condition of 120°C, drying for 4h,then calcining in 700°C for 8h, the iron-cerium-based sorbents for hot coal gas desulphurization were prepared using coal ash as the support and the sorbents and coal ash are characterized by means of numerous analytical methods such as composition analysis, XRD and SEM. The results clearly indicate that the sorbents prepared using coal ash as the support demonstrate high reactivity and high resistance to attrition during sulfidation during the temperature range of 400 °C to 600°C. The paper proposed a two-step desulphurization process using iron-based high temperature sorbents for removal of hydrogen sulfide from hot coal gases after coal gasification. The authors use the mixture of iron oxide with other metal oxides (e.g. Ce) supported by ash from a coalgangue- fired power plant to prepare high temperature desulphurization sorbents. The two-step desulphurization process is comprised of a first-stage desulphurization of removing majority of sulfur followed by a second-stage desulphurization to remove the remaining sulfur species. The process is integrated with effective sulfur recovery through direct elemental sulfur production during the regeneration of Fe/Ce based sorbents. Preliminary studies on sulfidation using a quartz fixed-bed reactor demonstrated that the Fe/Ce-based sorbents prepared in this study was able to remove >97% sulfur in the temperature range of 400-600°C. Simultaneous removal of organic and inorganic sulfur species was achieved. Conversion of fuel-N into HCN and NH3 during the pyrolysis and gasification of coal and biomass in steam were compared using fluidized-bed/fixed-bed and two-stage fluidized-bed/tubular reactors. During the pyrolysis and gasification of coal and biomass in steam, the thermal cracking of volatile-N was the main route for the formation of HCN while a small amount of HCN was formed from the breakdown of relatively unstable N-containing structures in char. Our results indicate that once the fuel-N in both biomass and coal is condensed/ polymerized into the solid-phase char-N during the gasification in steam, the main nitrogen-containing gaseous product from char-N would be NH3. However, the thermal-cracking/reforming of volatile-N constitutes an additional important route of NH3 formation during the gasification of biomass (e.g., cane trash) in steam while this route is negligible for the gasification of coal. The selectivity of char-N toward HCN and NH3 is largely controlled by char-N stability and/or the availability of H and/or other radicals during the gasification of coal and biomass. © 2007 American Chemical Society. This paper reports on the catalytic characteristics of a novel char-supported iron catalyst for the water-gas-shift reaction. The catalyst was prepared from gasification of iron-loaded Victorian brown coal. The catalyst samples were analyzed using a variety of techniques such as X-ray diffraction (XRD) and transmission electron microscopy (TEM). Water-gas-shift reaction experiments were carried out on a fixed-bed quartz reactor in the temperature range of 300-450 °C. The results indicated that iron highly dispersed in the char matrix with a particle size smaller than 50 nm demonstrated a high catalytic activity. Carbon material in the char was able to effectively prevent the agglomeration of nano-iron particles and maintained a high catalytic activity of the catalyst during water-gas-shift reaction. The effects of gasification conditions on the catalytic activity of the char catalyst were also investigated. © 2007 American Chemical Society. This paper reports the significant enhancement of hydrogen production during the gasification of Victorian brown coal with steam using iron as a catalyst. Iron was loaded into the acid-washed Loy Yang brown coal using ferric chloride aqueous solution. Gasification experiments were carried out using a quartz reactor at a fast particle heating rate. The yield of char was determined by directly weighing the reactor before and after each experiment. Gases were analysed using a GC with dual columns. The overall gasification rate of a char increases greatly in the presence of iron. The transformation of iron species during pyrolysis and gasification was examined using X-ray diffraction (XRD) and scanning electron microscopy (SEM). The results show that both reduced-iron (a-Fe and ¿-Fe) and magnetite (Fe 3 O 4 ) highly dispersed in a char can catalyse the gasification of the char with steam. In particular, the char from iron-loaded coal samples gives much higher yields of H 2 than a char from the acid-washed coal under similar conditions. The mechanism for the enhancement of hydrogen production in the presence of iron is discussed. © 2005 Elsevier Ltd. All rights reserved. Ash interacts strongly with char and volatiles in a gasifier, especially in a fluidised-bed gasifier. This study aims to investigate the effects of ash or ash-forming species on the conversion of fuel-N during gasification. A Victorian (Loy Yang) brown coal and a sugar cane trash were gasified in two novel fluidised-bed/fixed-bed reactors where the interactions of ash with char and/or volatiles could be selectively investigated. Our results show that the interaction of ash with char and/or volatiles could lead to increases in the yield of NH3 and decreases in the yield of HCN although the increases were not always matched exactly by the decreases. Loading NaCl or Na2CO3 into the brown coal was also found to affect the formation of HCN and NH3 during gasification. In addition to the possible catalytic hydrolysis of HCN into NH3 particularly at high temperatures, two other causes were identified for the changes in the HCN and NH3 yields. It is believed that some ash species could migrate into the char matrix to affect the local availability of H radicals or to catalyse the formation of NH3 selectively. The interactions of ash (or Na loaded into the coal) with volatiles could enhance the formation of soot-N, which would be gasified favourably to form NH3. © 2006 Elsevier Ltd. All rights reserved. This paper summarizes the research progress of the removal of hydrogen sulfide from coal gas by the dry method with activated-carbon, metal oxides, complex metal oxides and activated-carbon supported metal oxides. The characteristics of activated-carbon and metal oxides as sorbents are analyzed, including treatment temperature, desulfurization efficiency and regeneration, etc. The complex metal oxides and activated-carbon supported metal oxides are regarded as prospective sorbents for industrial applications and have better performance during desulfurization and regeneration. According to the mechanisms of desulfurization, it is feasible to prepare sorbents for desulfurization with semi-coke and metal oxides due to the similarity of semi-coke and activated carbon in their properties. Formation of HCN and NH3 during the pyrolysis and reforming of quinoline with steam was investigated using a novel two-stage fluidized-bed/fixed-bed reactor. The reactions via soot formation on a solid surface (e.g., sand) provide important routes for the conversion of quinoline-N into HCN and NH3 during pyrolysis and steam reforming at temperatures below 850 °C. The main route for the HCN formation is the breakdown of the N-containing intermediates as the intermediates undergo cracking and polymerization reactions to form soot. The subsequent hydrogenation of soot-N is an important source for NH3 formation when the temperature is 850 °C or lower. The gasification of soot in steam can also account for a small portion of the observed HCN. Above 850 °C, the hydrolysis of HCN into NH3 alters the final yields of HCN and NH3 during the reforming of quinoline with steam. During the reforming of quinoline with steam at 800 °C, the addition of coal ash, simulating the conditions in a coal/biomass gasifier, remarkably enhances the hydrolysis of HCN into NH3, although the activity of the ash diminished rapidly with time due to possible changes in the physicochemical forms of active species in ash. © 2006 American Chemical Society. This paper reports a novel char-supported nano iron catalyst prepared from the pyrolysis and gasification of iron-loaded Victorian brown coal. The catalyst samples were examined using X-ray diffraction and TEM. Iron is highly dispersed in the char matrix as magnetite with a particle size smaller than 50 nm. The catalyst is found experimentally to be very active for the water-gas-shift reaction at temperatures as low as 300°C. A conceptual process is proposed for the integrated catalytic production of hydrogen based on the gasification of solid fuels such as coal and biomass. Within the proposed process, the char-supported nano Fe catalyst in a moving-bed reactor has the potential to carry out integrated functions of chemical heat pumping, hot gas cleaning, pollutant (particularly NH3 and H2S) abatement and water-gas-shift reaction catalysis. © 2006 Institution of Chemical Engineers. Biomass-nitrogen conversion during the pyrolysis and gasification of a cane trash in steam was investigated using a fluidised-bed/fixed-bed reactor and a fluidised-bed/tubular reactor. Our results indicate that the thermal cracking of volatile-N is the main route of HCN formation although the thermal cracking of char-N also contributes to the formation of HCN. There are three major routes of NH3 formation: &apos;hydrolysis&apos; of N-containing structures in the solid phase during the primary pyrolysis, thermal cracking and gasification of solid nascent char as well as the thermal cracking and reforming of volatile-N. Under the current experimental conditions, the hydrolysis of HCN does not appear to be an important route of NH3/HNCO formation. © 2004 Elsevier Ltd. AH rights reserved. Effects of pressure on the formation of HCN and NH3 during the pyrolysis and gasification of Loy Yang brown coal in steam were investigated using a pressurised drop-tube/fixed-bed reactor. The NH3 yield increased with increasing pressure during both pyrolysis and gasification. Increasing pressure selectively favours the formation of NH3 at the expenses of other N-containing species. The changes in the yield of NH 3 with increasing pressure were mainly observed in the feeding periods both during pyrolysis and gasification and were closely related to the formation and subsequent cracking of soot both as a result of intensified thermal cracking of volatile precursors inside the particles and as a result of volatile-char interactions after the release of volatiles. While the corresponding HCN yield during pyrolysis showed little sensitivity to changes in pressure, the HCN yield during gasification in steam showed some increases with increasing pressure. Our data indicate that the direct hydrogenation of char-N by H radicals, favoured by the presence of steam, is the main route of NH 3 formation during pyrolysis and gasification. The direct conversion, either through hydrogenation or hydrolysis, of HCN into NH3 on char surface during the pyrolysis and gasification of brown coal is not an important route of NH3 formation. © 2005 Elsevier Ltd. All rights reserved. Char structures evolved during the devolatilization process have been found to play a significant role in the subsequent processes (e.g., char combustion and gasification) and to influence the ash formation mechanisms. In the present paper, a mathematical model has been developed based on the multibubble mechanism to simulate the char structure evolution process. The model is the first to provide predictions of heterogenous char structures evolved during devolatilization (e.g. cenospheric char, foam structure, or dense char structure) as well as transient particle swelling ratios, based on the ultimate and proximate data of the given coal. The devolatilization process is divided into the preplastic stage, plastic stage, and resolidified stage. Bubble number conservation, mass, and force balance are formulated during the plastic stage to predict the transient swelling ratio and resultant char structures. Experiments have been conducted using a single coal particle reactor (SPR) and a drop tube furnace (DTF) with density-separated coal samples prepared using the sink-float method. The SPR experiments confirm that bubble behavior is responsible for the swelling of the particles that develop plasticity on heating. The analysis of the DTF chars shows that the swelling ratio and porosity decrease with increasing the coal density. Chars from lowdensity samples are mainly Group I chars (porosity >80%), while high-density samples yield mainly Group III chars (porosity <50%), and the medium-density samples contain a mixture. The predicted swelling ratio, porosity, and char type distribution of the chars of the density-separated samples are consistent with the experimental data. The catalytic effects of Zn on the release of the gaseous products during pyrolysis of Shenhua lignite was investigated by using a fixed-bed quartz reactor. The product gas compositions from the coal pyrolysis were analyzed by a gas chromatography (GC). Experimental results show that Zn had noticeable catalytic effects on lignite pyrolysis. With the increase in Zn content, lignite weight loss increases during pyrolysis. However, there was an optimum content for amount Zn into the coal. Pyrolysis temperature had a great impact on the composition of pyrolysis gas. As the pyrolysis temperature increased, char yield decreased and gas yield increased. There existed a temperature that tar yield reached its maximum value. © (2014) Trans Tech Publications, Switzerland. The catalytic effects of Zn on the yield of the gaseous products during steam gasification of lignite char were investigated by using a fixed-bed reactor. The gas composition was measured using a gas chromatography (GC). The experimental results show that Zn has catalytic effects on steam gasification and increased the yield of H2. There was an optimum content of Zn implanted into the coal above which zinc does not show further catalytic activity. © (2014) Trans Tech Publications, Switzerland. This paper presents a hybrid algorithm based on invasive weed optimization (IWO) and particle swarm optimization (PSO), named IW-PSO. IWO is a relatively novel numerical stochastic optimization algorithm. By incorporating the reproduction and spatial dispersal of IWO into the traditional PSO, exploration and exploitation of the PSO can be enhanced and well balanced to achieve better performance. In a set of 15 test function problem, the parameters of IW-PSO were analyzed and selected, and the computational results show that IW-PSO can effectively obtain higher quality solutions so as to avoid being trapped in local optimum, comparing with PSO and IWO. © (2013) Trans Tech Publications, Switzerland. The paper provides an overview of surface modification and application of fly ash cenospheres. The state of the art research and development of electromagnetic wave absorption materials based on surface treated fly ash cenospheres are summarized. © (2013) Trans Tech Publications, Switzerland. New red phosphorescent material, (E)-2-(2-(thiophen-2-yl) vinyl)benzothiazole(2THSBT) iridium(III) acetylacetone(acac) complex [(2THSBT) 2Ir(acac)] is synthesized from 2-methyl benzothiazole, thiophene-2-carbaldehyde and iridium trichloride anhydrate. The complex is characterized by MS and 1H-NMR. (2THSBT) 2Ir(acac) gives a photoluminescence at 687nm, phosphorescent quantum yield: f (2THSBT)2Ir(acac)=0.2 and E HOMO =-4.8 eV, E LUMO =-2.6eV, respectively. The complex may be a promising electrophosphorescent material. Coal will continue to dominate China s energy supply in the future. The mining of coal creates large amount of gangue which not only occupies a large area of land but also generate environmental problems. On the other hand, coal gangue is a low calorific fuel which should be utilized properly. A few small power plants are current running or under construction in China. However, due to its high ash content, coal gangue generates a large amount of ash when it is combusted in power plants. The ash from power stations not only contributes to emissions of fine particulates in the air but also results in the contamination of soil. The utilization of coal gangue ash is therefore important to reduce China s environmental pollution. In this paper, current status of the research and development of gangue ash utilization in China is reviewed. The gangue ash has found its application in a wide range of areas, such as road construction, chemicals, agriculture fertilizers, etc. Some ash samples were collected by the authors from a coal gangue fired power plant in Fuxin, northeast China. Characteristics of the ash were analyzed by using XRD, SEM, Laser sizer and other techniques. Because of its physical structure (e.g., large surface area and porosity) and its composition (i.e., containing mainly SiO2, Al2O3 and CaO) the gangue ash has a potential in the application of iron-based sorbents for high temperature removal of hydrogen sulfide from coal gas. A desulphurization sorbent was prepared by using the mixture of iron oxide and the gangue ash collected from the power plant. The structure and property of the surbent were examined using XRD, SEM and other techniques. International researchers, engineers, academics and industry professionals united at a symposium in Newcastle this week to explore long term solutions for energy production. A new collaborative centre will aid the development of innovative technologies to boost research into clean energy.